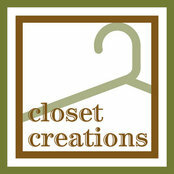 We are a full service custom closet company, locally owned and operated since 1995. From master closets to garages Closet Creation can improve your lifestyle. For a Life Less Cluttered! 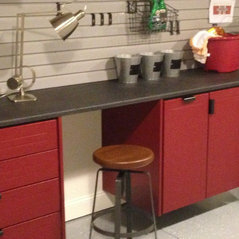 Even the most functional areas of the home can be stylish with the help of our expert storage system designers. Custom designed to fit your needs, your storage system will make your life easier and less complicated: Our many options include velvet jewelry trays, tie racks, belt racks, valet rods, drawer box dividers, full line of pulls and knobs, decorative hooks, crown molding, wire baskets, irioning boards, shoe shelf options and more! We had a great experience with closet creations! 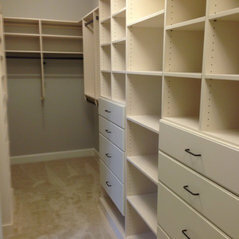 Paul is professional, knowledgeable and builds a quality closet! Wonderful prices as well! Will definitely recommend! 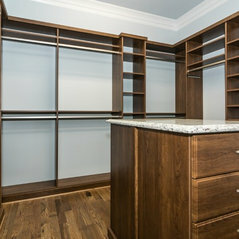 We hired Closet Creations for a interior design client and the results turned out wonderful! Their prices were competitive and the overall process was nice and easy. Highly Recommended!